The Dodge Challenger is a very good car that offers a huge punch, especially in the Hellcat and Demon models. Even the entry level SXT offers 305 horsepower from its 3.6-liter V6. 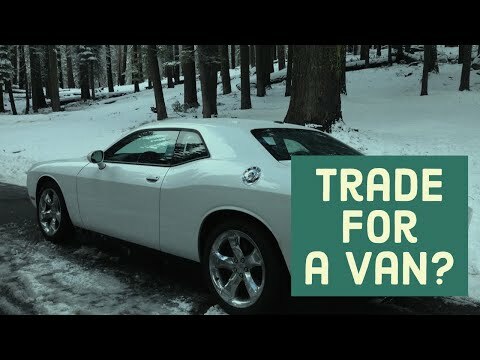 A Challenger is fun and is even quite roomy, but what do you do when you need more room? Some Vehicles Should be Left Alone! Some vehicles just shouldn’t be tuned and tried to make into performance cars. One such type of vehicle is the minivan. Let’s all face it minivans are very practice cars, but they just aren’t cool car. With a minivan, no matter what you do to it, it is still a minivan and won’t be very cool. Today, I saw an example of what not to do to a minivan when I saw the Toyota Previa in these images. According to badging it is a supercharged Toyota Previa (which the Toyota Previa was as well as all-wheel drive and mid-engined) with what looks like a mild body kit (I could be wrong on this as I’m not a Previa expert) and some fancy rims. A peak inside shows that the owner really likes gauges and to feel like he is in some kind of hot rod. While I’m all for enjoying whatever kind of car you drive, somethings should just be left alone. I personally like classic hot rods and love a well done sleeper, but don’t make a car that isn’t cool even worse. The best thing I can say about it is that it is definitely unique. Oh, and kids please don’t try this at home! What do you think of this tuned car? Let us know in the comments and feel free to share other cars that shouldn’t be turned into performance cars.